Knee cap pain can be caused by a number of things. It may be that the problem is with the kneecap bone itself, with the cartilage that lines it, or tightness or weakness in the surrounding muscles causing it to move incorrectly. The kneecap aka patella is a small triangle shape bone that sits inside the quadriceps tendon. It rests in a groove on the femur (thigh bone) known as the patellar/trochlear groove and glides up and down in this groove as the knee moves. The back surface of the kneecap is lined with the thickest layer of cartilage in the whole body. This is because such large forces go through it. For example when you squat, a force equivalent to eight times your body weight goes through the kneecap. But why do we have kneecaps? The knee cap is functionally important because it increases the leverage at the knee joint. This increases the strength of the knee by approximately 30% with extension activities like kicking. 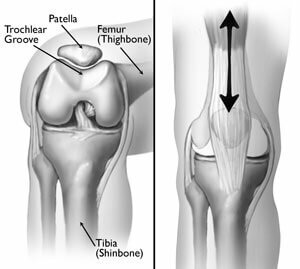 Problems with the patella tend to cause front knee pain. Here you will find a summary of the most common causes of knee cap pain. Chondromalacia is a common cause of knee cap pain, especially in young adults and adolescents. Thinning of the cartilage that lines the back of the knee cap results in pain at the front. Chondromalacia tends to be worse when you first get up from sitting or when climbing stairs. It can also cause a grinding/grating sensation. Runner's knee is a very common cause of patellar pain. It can affect anyone from athletes to office workers, despite the name! Runner's Knee is caused by patella maltracking, a problem with how the kneecap moves. This is usually due to muscle tightness, weakness or abnormal biomechanics e.g. foot position. The symptoms of Runner's Knee tend to come on gradually over time and people typically experience an achy pain around the front of the knee and under the patella. Runner's Knee tends to be worse after prolonged activity or inactivity and when coming down stairs. Runner's Knee is also known as anterior knee pain or patellofemoral pain syndrome. More commonly known as Jumper's Knee, this usually results in knee cap pain just below the patella. Patellar tendonitis is caused by damage to the patella tendon from repetitive activities like jumping and kicking. The most defining symptom of jumper's knee is pain when pressure is applied just below the knee on the tendon. Knee cap pain from patellar tendonitis also tends to be worse with and after activity and first thing in the morning. 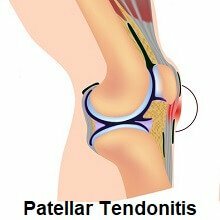 Pain associated with Patellar Tendonitis tends to get gradually worse over time as the tendon and if left untreated, the tendon may tear completely. A patella dislocation occurs when the knee cap is forced out of the patellar groove, usually after an injury, or from twisting the knee awkwardly. There is usually a visible deformity with a large bulge to the side of the knee, most commonly the outer side. There tends to also be lots of swelling if the kneecap dislocates. A patellar dislocation is a medical emergency and needs relocating (putting back in place) by a doctor as soon as possible. Knee cap dislocation is usually accompanied by damage to the ligaments that hold the knee cap in place which can make you prone to dislocating again in the future. Treatment consists of a rehab program and in some cases surgery may be necessary. With patella fractures, the kneecap gets broken. This tends to occur due to a fall from a height or a massive force through the bone. 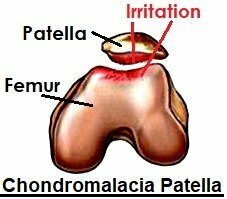 There may be one clean break or in most cases, the patella will break into several pieces. Depending on the severity of the injury, the leg may be put in a brace/cast to prevent movement for a few weeks while the bone heals, or surgery may be required to fix the fragments back together. If the injury is severe, part or all of the kneecap may need to be removed. Arthritis often causes knee cap pain. 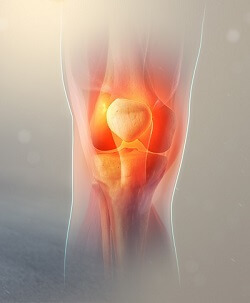 Osteoarthritis is when there is wear and tear in the bones and cartilage, which can affect any of the knee bones. 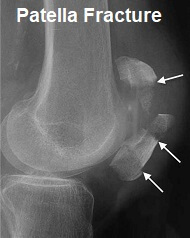 Patellofemoral arthritis leads to a narrowing of the space between the kneecap and the groove it sits in on the femur. Pain from arthritis is usually worse with any activities that put pressure through the patella such as squatting, climbing stairs and kneeling. It also sometimes produces a cracking or grating noise/sensation when you move your knee. 1) What Causes Pain Under The Knee Cap? Pain under the kneecap can be due to a number of problems. If the pain is felt on the back of the kneecap it is usually a problem with the cartilage on the back of the patella, most typically Chondromalacia Patella or Runners Knee. The pain tends to come on gradually and gets worse after sitting for a while or doing lots of exercise. If the pain is felt below the kneecap, the most common causes are patellar tendonitis or infrapatellar bursitis. 2) What Causes Sharp Pain In The Knee Cap? Sharp knee cap pain is usually caused by either damage to the cartilage on the back of the kneecap, or a patella fracture - a break in the bone. Sharp knee pain is usually worse with movement and may be intense. 3) How Do You Treat Knee Cap Pain? Treatment for patella pain will depend on the type of injury. In most cases, knee cap pain can be treated with a combination of exercises and physical therapy, ice, painkillers and a knee brace. If none of these are sounding quite like your pain, visit the knee pain diagnosis section for help working out what is wrong with your knee. To find out more about these common causes of knee cap pain, including causes, symptoms, diagnosis and treatment options, click on the links above.